Pallet Top Decks, What Are They? A top deck is the top surface area of a pallet or skid, the space / platform that inventory or a more general payload will rest upon during storage or transportation. Although, top decks vary on by pallet, common top options can be found on both stringer and block pallets. The two main types of top decks on a pallet are, open decks and closed decks. An open deck can also be referred to as a ventilated deck, and a closed deck can also be referred to as a solid deck. Knowing the different types of top decks is important when selecting the best pallet option for your application! Both of our open and closed top deck pallets are available in a full range of sizes to best suit your needs! Open top decks, also known as ventilated decks, have openings in the surface often referred to as the mesh or grid. These openings make the pallets lighter in weight and less expensive to purchase. The larger the mesh/grid openings are, the thinner the plastic pallet appears. Open deck pallets also allow easy draining when wet. One of our most popular open deck pallets is our 40 x 48 x 5” Nestable Light Duty Plastic Pallet (#PP-O-40-NL7). Closed top decks, also known as solid top decks, have solid plastic surfaces without grated openings. Most closed deck plastic pallets have a smooth surface with either an anti-skid surface or a lip around the perimeter. Closed deck pallets offer great hygiene due to protection from spills or splashes, and are easier to clean. One of our most popular closed deck pallets is our 40×48” Solid Deck Rackable Plastic Pallet (#PP-S-40-R3). Our other most popular option for a closed deck plastic pallet would be any of our rackable RC plastic stringer pallets. These pallets are based off old school, classic stringer pallet drawings and designs. One of our best selling examples would be our 44×44” Heavy Duty Solid Deck Rackable Plastic Pallet (#PP-S-4444-RC). Offering pallets with different anti-slip options and designs helps ensure that our customers inventory and products remain safe and secure. 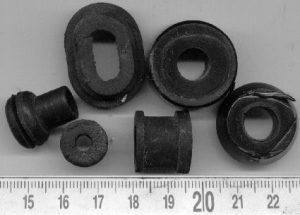 * rubber surface attachments (known as pallet grommets). 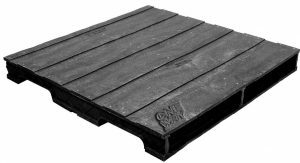 These anti-slip options are most commonly found on the smoother surfaces of our closed deck pallets. Our plastic pallet experts want your pallet shopping to be as easy as possible! That’s why we offer a special way to filter your searches! When viewing our “Shop Plastic Pallets” or “Pallets by Industry” drop down bars, you have the option to filter your search to really narrow down what you’re looking for! The filter section can be found on the left of our product pages, right under the “Shop by Category” box. Our Pallet Product Filters help you find what you need quickly! Want to learn about Pallet Stringers? There’s more to a pallet than a top deck – go here check out our article on Pallet Stringer Boards. We’d love to hear from you – please share thoughts about our open and closed top deck pallet options in the comments below. Need Help Selecting A Pallet? Our Plastic Pallet Experts are happy to help you find the right plastic pallet and send you a quote that includes shipping costs. Please contact us to find the perfect pallet at the best price. Robin Spencer Kiefer connects customers with solutions and products. Robin is the Digital Marketing Manager of One Way Solutions.